We have been importing Prime Pre-painted Galvanized Steel Corrugated Sheet, Prime Pre-painted Galvanized Steel Plain Sheet, wire rods and other construction materials from China. We have been importing different types of rice from India. We have been serving customers with long grain rice in a pack of 20 kg, Jeera Mashino Rice in 25 kg pack, Usina Rice in 5kg pack and 20 kg pack. Australian Chick Peas directly imported from Australia and Pop Corn is imported from Argentina, Whole Yellow Peas and Whole Green Peas from Canada. 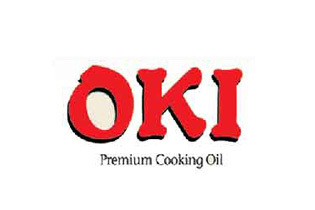 We are authorized distributor of products of OKI brand of Singapore here in Nepal. We import Edible oils like RBD Sunflower oil, Soyabean oil, Palm Olein, Refined Corn Oil, other items like Bakery Shortening, Puff Pastry Margarine, Pasta & Spaghetti, Fully Refined Paraffin WAX, Ammonium Bicarbonate, Calcium Carbide and many more products in pipeline. We are authorized distributor of Cello Coolers which is one of the leading air cooler manufacturers in India. Similarly, we have been authorized to distribute Surya Fans as well.